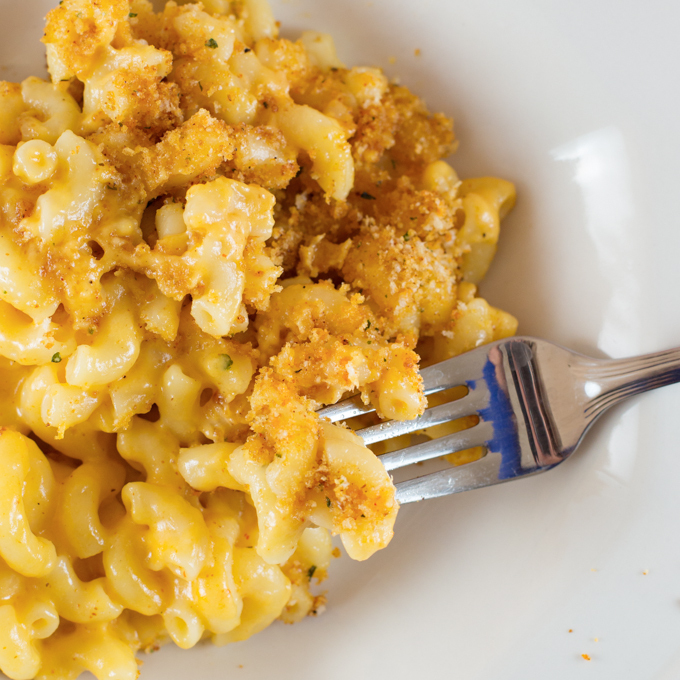 Ahhh, Mac & Cheese, the comfort food of all comfort food! I’m not talking about something that comes in a box with a powdery orange cheese substance (that is reserved only for date nights, gotta get the kids fed quick kind of nights). We’re all guilty. Seriously though, once you make homemade, you’ll never go back. While it’s not quite as quick, it’s still a pretty darn fast meal! I’m on a quest to find the perfect Mac & Cheese. 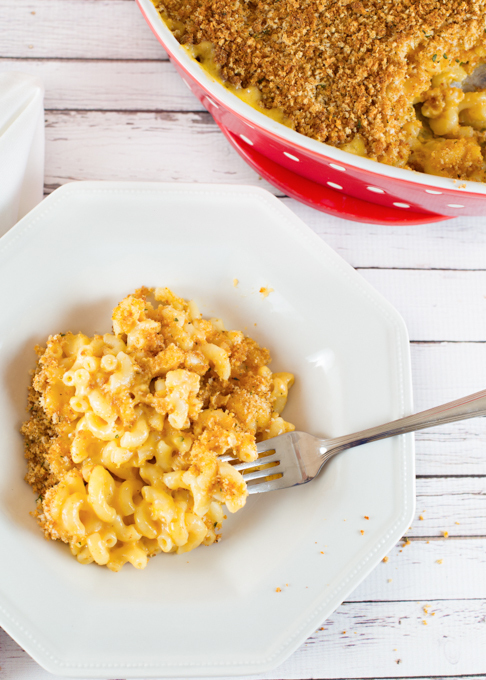 The ooey, gooey, cheesy, saucy, all time best mac & cheese! I have a handful of new recipes to try and one that I’ve made before. The test taste has begun! 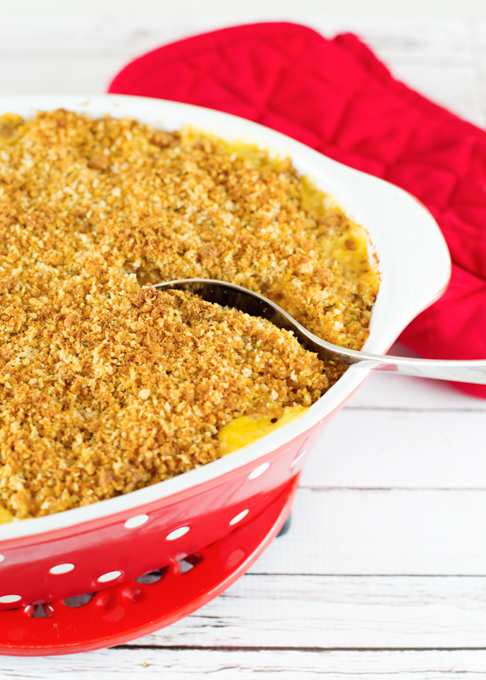 This recipe is a very classic mac & cheese, in fact, I’m not sure were the recipe originated (or in what year), but I cracked up when I read the recipe. Per the instructions, you are to cook the pasta in a “kettle” of salted boiling water. After reading that, I was expecting a rather bland dish. Nope! The cayenne and paprika added just the perfect amount of kick! There is nothing I’d change about this recipe. It was perfectly delicious! If you are making this as a kid’s meal, I might suggest cutting back on the cayenne just a bit. I used a full (maybe slightly heaping tsp) and I loved the little kick it gave, but if you are very spice sensitive you might call it spicy. It wasn’t, but just in case I thought I should mention it. 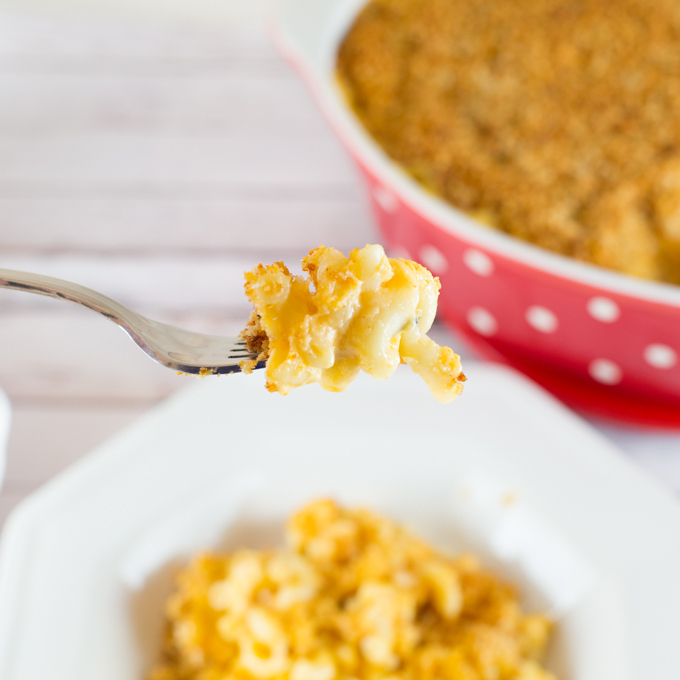 I love the ladies that shared the recipe with me and I loved this mac & cheese! In a saucepan, melt four tablespoons of the butter. Add flour and cook for 2-3 minutes. All the time, whisking it so it will not burn. Add the milk in a stream, whisking, and bring to a boil. Add mustard, cayenne and salt and pepper to taste and simmer sauce until thickened, about two minutes. In a kettle (I used a large pot) of salted boiling water, cook macaroni until just al dente, about 7 minutes and drain well. In a large bowl, stir together, macaroni, sauce, cheddar, and ¾ cup Parmesan cheese. Transfer to a buttered shallow baking dish. In a small bowl, stir together bread crumbs, paprika and the remaining Parmesan cheese with the remaining 2 Tablespoons of butter, melted. Scatter evenly over the macaroni and bake in a 350 degree oven for 25 - 30 minutes, or until golden and bubbling. *I didn’t have any bread to make fresh bread crumbs. I used 1/2 cup Italian bread crumbs and 1/2 cup Panko bread crumbs. 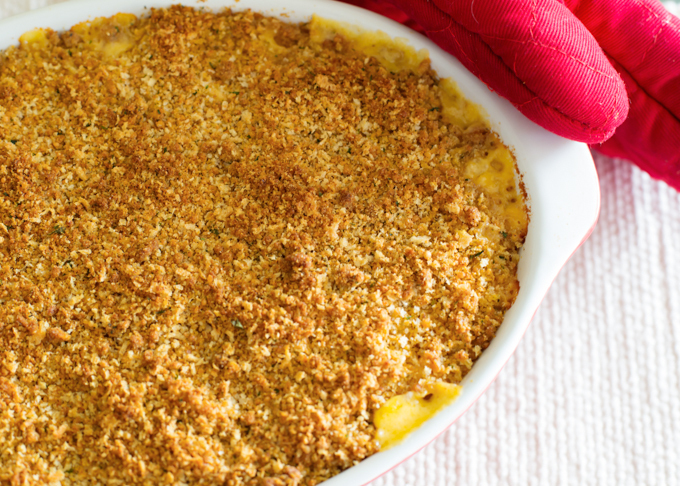 Amount of bread crumbs needed will vary depending on the size of the baking dish you use. **If you like this recipe, please feel free to share onto your Facebook page, Pinterest, and don’t forget to hit the YUM & Stumble buttons! So creamy and perfect! Love the crumb topping! Thank you! Yes, creamy and delicious! Oh my gosh this looks so decadent and delicious! 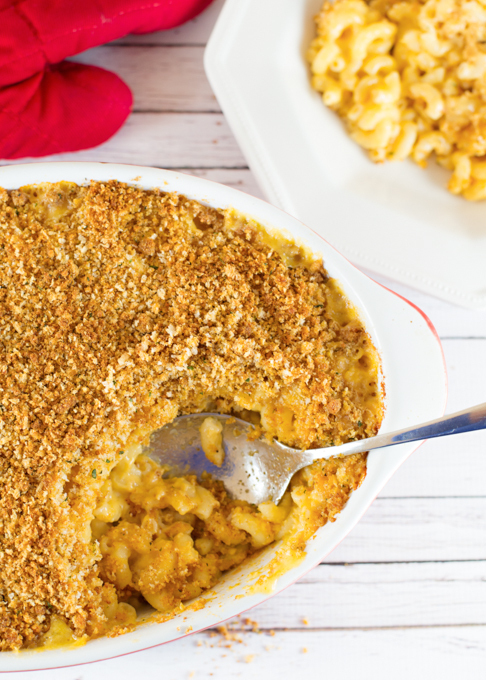 Always game to try a new Mac & Cheese recipe!